Cape Town – Forty seven percent of South African small and medium enterprise (SME) owners surveyed said they had hired new employees in the last year, according to Ben Bierman, the managing director of Business Partners. He said 77percent of them surveyed in the fourth quarter 2016 Business Partners SME index believed that this year would yield greater growth for their businesses than last year. Bierman said last year, the private sector, and particularly the SME sector, experienced how political uncertainty and noise could negatively impact an already struggling economy. 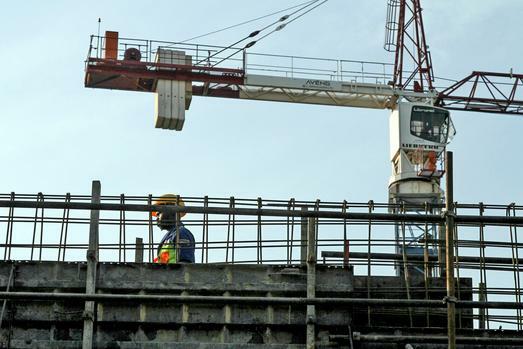 He said the survey showed an average confidence level of 59percent that the South African economy would be conducive for business growth in the next 12 months. and reportedly losing R500billion in a couple of days. Bierman said that while local politics would always be a challenge given its inherent risk to the broader economy, especially with the ratings downgrade risk hanging over the country and the murmurings of a cabinet reshuffle, potentially threatening the rand. He said in the current tough economic climate, an environment where SMEs could thrive needs to be created as this is the most effective vehicle to stimulate economic growth and job creation. Bierman said the index showed that 47percent of SMEs in last year’s fourth quarter reported that they hired new employees. He said the latest job statistics (Statstics SA’s quarterly labour force survey – third quarter 2016), showed that 27.1percent of South Africans are unemployed, the highest in 13 years and more discouragingly, 38.2percent between the ages of 15 and 24 are not employed. Looking to the year ahead, Bierman said that SME funding needed to be a priority and encouraged SME financiers to adopt a more positive outlook towards South Africa’s future and consider taking more calculated risks. “SMEs largely reflect what is happening in a broader economy. When confidence levels improve, this will positively impact on economic growth, leading to increased economic traction and business’s ability to create employment. Meanwhile, Anton van Heerden, a managing director and executive vice-president for Africa and Middle East at Sage, an integrated accounting, payroll and payment systems firm, said 54percent of South African business owners felt confident about their business prospects, according to the company’s research. Van Heerden said following the recent World Economic Forum in Davos, economic inequality was once again on the agenda for the world’s leaders.